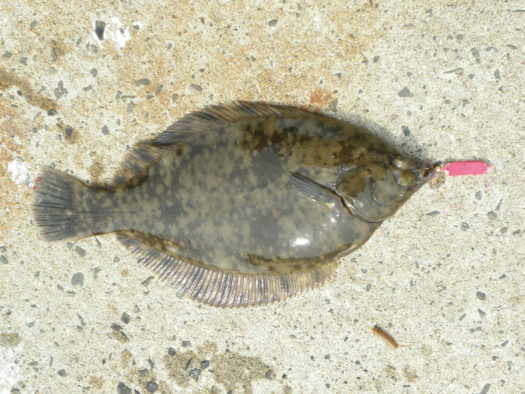 Many left-eyed flounder swim in the waters off the Japan Sea coast of Hokkaido and can even be caught within the seaports. This is a fish everyone is happy to catch, then take home to eat! This area is home larger sized brown sole, often over 40 centimeters long. 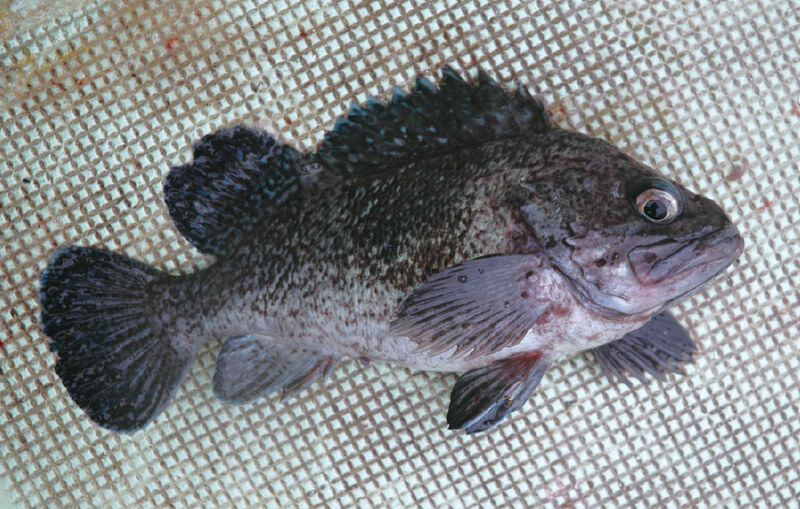 Black rockfish become more active after the sun goes down. 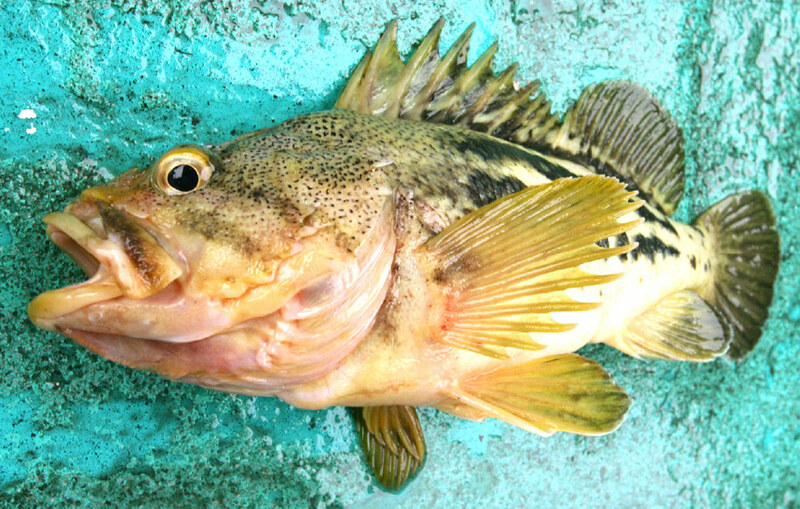 Since these fish are nocturnal they are popular targets for night fishermen. Of course they taste great for dinner too! Yellow bodies with black markings are unique characteristics of threestripe rockfish. They prefer rocky areas but can also be caught among the tetrapod blocks further north. These fish are fun to catch and to eat. 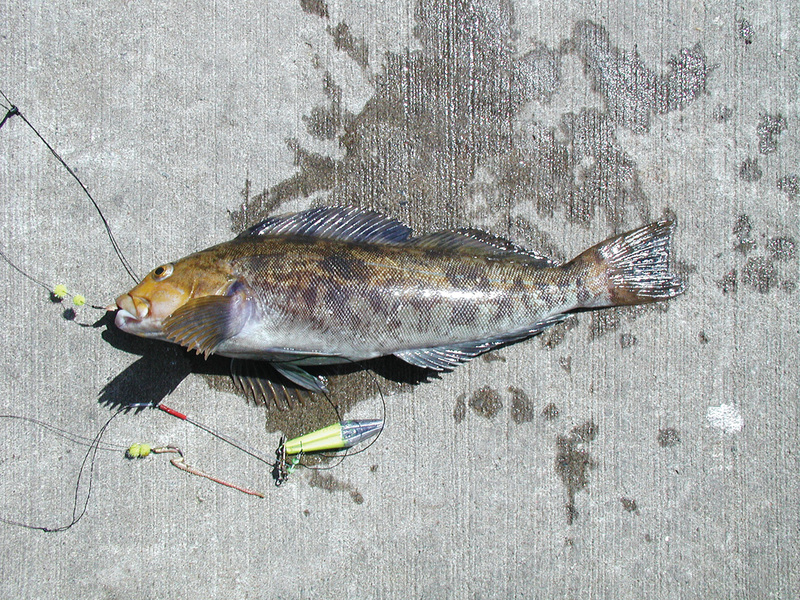 It isn’t uncommon to catch ones over 50 cm long along this coastline. 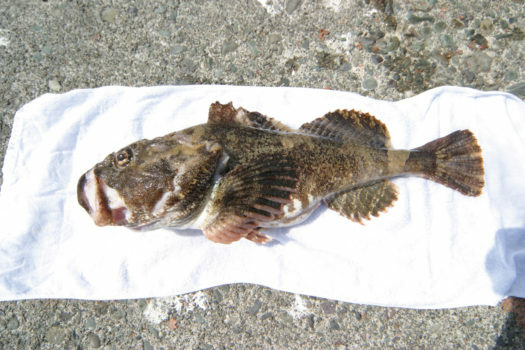 Jacopever are even more tasty than black rockfish. They are often found around the harbors and will go for a worm. 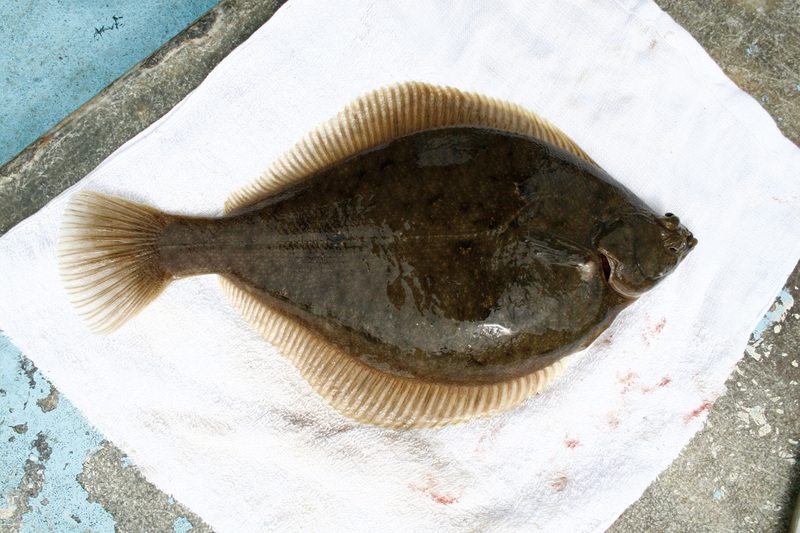 This fish is a well-known type of right-eyed flounder. 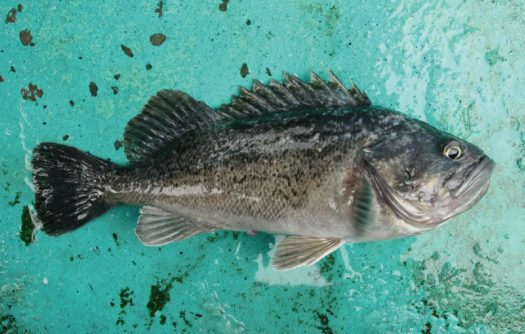 Their thick, muscular bodies make for a fun fight, and of course, they also taste great later when simmered or fried. Fall is the season to catch sculpin. 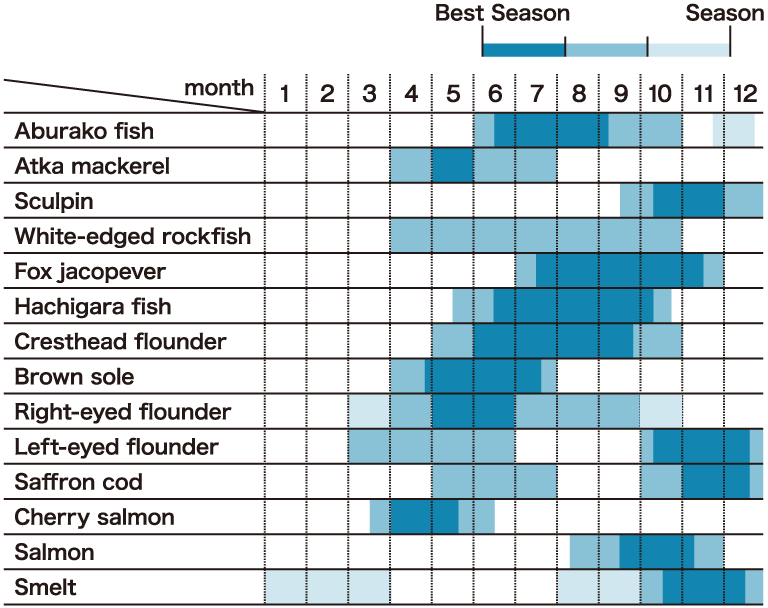 A bowl of sculpin soup has no other comparison. 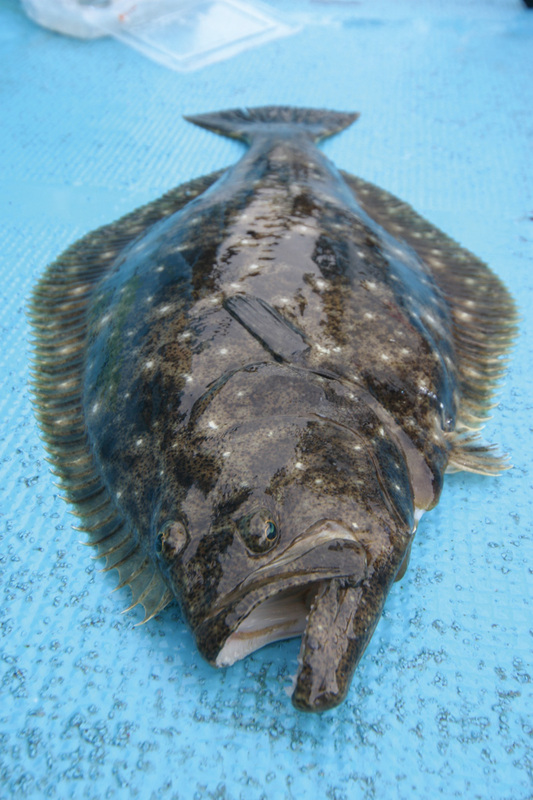 You can catch sculpin and great sculpin of the highest quality here in these waters! Please be aware of the commercial fishing boats in the harbors and be sure to stay out of their way! Please also heed the no trespassing signs and follow all other rules. Let’s use our manners and keep the environment clean for all to enjoy.